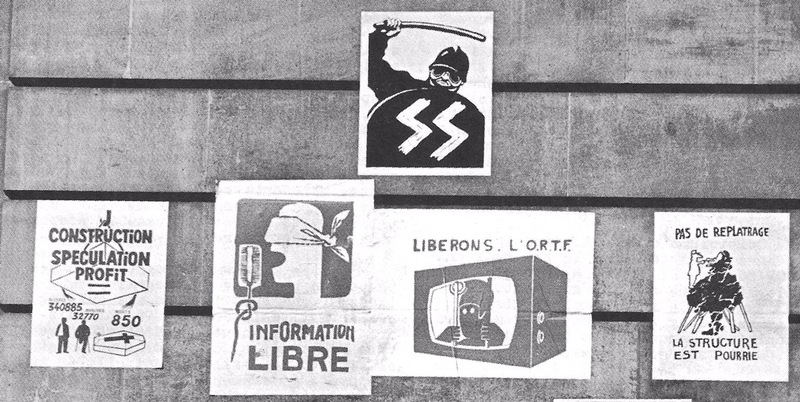 This poster is one of the most iconic from May 1968. The first version produced only had the image of the CRS policeman (drawn by cartoonist Jacques Carelman) on it. 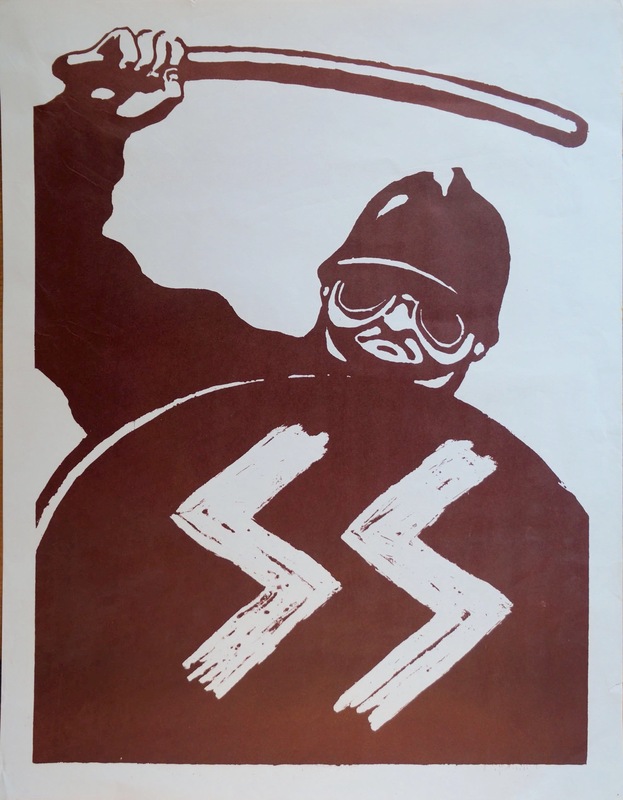 This is the later version with the “SS” added to the shield. This refers to the student chant: “CRS SS!”.